The Portuguese Air Force (Portuguese: Força Aérea Portuguesa) is the air force of Portugal. In Portugal, it is referred to by the acronym FAP, but internationally is often referred to by the acronym PoAF. It is one of the three branches of the Portuguese Armed Forces. The Portuguese Air Force was formed on July 1, 1952, when the former Aeronáutica Militar (Army Aviation) and Aviação Naval (Naval Aviation) were united in a single independent Air Force. However, its origins dates back to 1912, when military aviation began to be used in Portugal, later leading to the creation of the Army and Navy's aviation services. The history of Portuguese military aviation dates back to 1911, when a Balloon Company was founded as part of the Army Telegraphic Service, later receiving a handful of airplanes. During World War I, an air unit was planned as part of the Portuguese Forces fighting in the Western Front, but was never activated. Several of the Portuguese airmen that were to integrate that air unit, instead flew in British and French squadrons. Serving in French squadron SPA 65, in November 1917, air ace Óscar Monteiro Torres became the first Portuguese pilot to be killed in an air combat, his SPAD S.VII being shot down, after himself having shot down two German fighters. 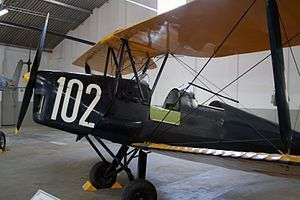 In Mozambique, in the operations against German Eastern Africa, the Portuguese forces included a small squadron of Farman F.40 airplanes, this being one of the first employments of military aircraft in Africa. In 1913, following the development of military aviation in Europe and the creation of the French Aéronautique Militaire, the Portuguese government started considering the creation of an aviation service with the intent of supporting the development of an Army and Navy aviation. As such, on May 14, 1914, the Military Aeronautical Service (Portuguese: Serviço Aeronáutico Militar) and School of Military Aeronautics (Portuguese: Escola de Aeronáutica Militar, EAM) were founded. Later in 1918, these services were reorganised and the Army's aviation was renamed to Service of Military Aeronautics (Portuguese: Serviço de Aeronáutica Militar) and was made directly dependent of the Ministry of War. The OGMA workshops at Alverca, which still exists under this name, and the first operational squadrons were founded that same year. On September 28, 1917, the Navy Aviation Service and School was created, as well as the first naval aviation base, the Maritime Aviation Centre of Bom Sucesso, in Lisbon. During World War I, the Portuguese Naval Aviation employed flying boats based in Lisbon and latter in also in the Azores in anti-submarine patrols. The Portuguese Navy's aviation service was later renamed two more times — in 1918 to Naval Aeronautical Service (Portuguese: Serviço da Aeronáutica Naval), and once again in 1936 to Navy Air Forces (Portuguese: Forças Aéreas da Armada). The first aerial crossing of the South Atlantic was made by the Portuguese naval aviators Sacadura Cabral and Gago Coutinho in 1922. They left the Lisbon Naval Air Station in Bom Sucesso, on March 30, in a Fairey IIID Mk.II seaplane of the Navy, specifically outfitted for the journey. The aircraft was equipped with an artificial horizon for aeronautical use, a revolutionary own invention of Gago Coutinho. They arrived on the Brazilian Saint Peter and Saint Paul Archipelago on the April 17 and ended the journey in Rio de Janeiro on the June, 17. The aviation of the Army gained the status of a full arm of service in 1924, becoming in equality with the other combat arms like the infantry or the artillery. It became known as Arm of Aeronautics (Portuguese: Arma de Aeronáutica) or Military Aeronautics (Portuguese: Aeronáutica Militar). In 1931, occurred the only employment of an aircraft carrier by the Portuguese forces, when the merchant ship Cubango was transformed in an seaplane carrier to be integrated in the naval and military expedition deployed to Madeira to subdue a military uprising that had occurred in the island. Four Naval Aviation's CAMS 37 flying boats operating from the Cubando gave air support to the Government landing forces, being crucial for their victory in the subjugation of the revolutionaries. In 1937, the Military Aeronautics underwent a major reorganization, gaining a large autonomy. Despite continuing to be administratively part of the Army, the Military Aeronautics now had a separate chain of command, with its forces under an Aeronautics Command directly dependent from the Minister of War. Early involvement by the Portuguese military aviation included the Revolution in 1926 and the participation of a number of Portuguese pilots and other airmen in the Spanish Civil War in the late 1930s. Portugal was not directly involved in World War II, but had to defend its neutrality. An important effort was made to defend the strategic Azores islands from a possible invasion — an intent of Adolf Hitler through 1941 was to seize them as an ideal base for the trans-Atlantic ranged Amerika Bomber project — including the deployment of most of the Portuguese air combat squadrons to there. By 1943, good relations with the Allies resulted in the purchase of modern British and US aircraft, including the Hawker Hurricane, Supermarine Spitfire and Republic P-47 Thunderbolt, as well as others impounded after they landed due to mechanical problems or bad weather. 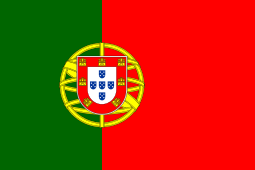 Portugal joined NATO in 1949 as one of its founders. In August 1950, the Government role of Minister of National Defense was established to oversee all national military policy with coordinating authority over the Minister of the Army (former Minister of War) and the Minister of the Navy, and direct authority over the newly created role of Under-Secretary of State for the Aeronautics (Portuguese: Subsecretário de Estado da Aeronáutica), which was created with the objective of managing all the Portuguese military aviation. The role of Under-Secretary of State for the Aeronautics was only activated and filled in 1952, when the Aeronáutica Militar was organized as an independent branch of the Armed Forces, at the same time integrating the Naval Aviation. By this new organization, the air forces included independent forces and forces of cooperation. The air forces of cooperation could be placed under Army or Navy command for operational purposes. As such, the naval aviation personnel were under the command of the Under-Secretary of State for the Aeronautics under the status of deployed, and the naval aviation units formed a semi-independent branch for operational and training purposes, designated Naval Air Forces (Portuguese: Forças Aeronavais). These events are what is considered to be the creation of the Portuguese Air Force (PoAF) as an independent branch of the Armed Forces. Air Base No. 3, in Tancos, with a reconnaissance squadron equipped with Lysander aircraft and a group of fighter squadrons equipped with Republic P-47 Thunderbolt attack aircraft. Lisbon's Airfield, equipped with transport aircraft of various types. In 1955 it was renamed as Base Airfield No. 1, being once again renamed in 1978 to Transit Airfield No. 1. "Sacadura Cabral" Naval Aviation Centre, descendant of the Bom Sucesso Naval Aviation Centre, in Belém, transferred to Montijo in the 1950s. This unit was initially equipped with North-American T-6, Consolidated Fleet aircraft, and various Grumman aircraft. Later it was renamed Air Base No. 6. Asas de Portugal display team. Guinea and Cape Verde Air Zone (Zona Aérea da Guiné e Cabo Verde). 3rd Air Region (3ª Região Aérea), with its headquarters in Lourenço Marques, covering Mozambique, Portuguese India, Macau and Portuguese Timor. In 1955, the first Portuguese paratrooper unit was created under the command of the Air Force. The Portuguese paratrooper forces would continue to be a part of the Air Force until 1993, when they were transferred to the Army. In 1958, the Naval Air Forces and the Ground Air Forces were completely integrated in the Air Force, ending any type of administrative connection, respectively, to the Navy and to the Army. Starting in 1960, a number of air bases and other units were installed in the Portuguese overseas territories, under the command of the 2nd and 3rd air regions and the Guinea and Cape Verde Air Zone. By the mid-1960s, Cape Verde, Portuguese Guinea, São Tomé and Príncipe, Angola and Mozambique were already covered by air bases and other airfields. Paratroopers being launched by a Portuguese Air Force's Alouette III, in an air assault operation in Angola, in the 1960s. From 1961 to 1975, the Portuguese Air Force was deeply engaged in the three theaters of operation of the Portuguese Overseas War, both with aviation and paratrooper forces. In the Overseas War, the Portuguese Air Force had both strategic and tactical air missions. The strategic mission consisted of the interterritorial connection between European Portugal and the Portuguese Guinea, Angola and Mozambique theatres of operations, using DC-6 and later Boeing 707 aircraft. After acquiring the Boeing 707, the Air Force was able take a large share of the transport missions that until then were made through the use of merchant ships, reducing the connection time between the different territories. In Angola and Mozambique, Volunteer Air Formations (FAV, Formações Aéreas Voluntárias) units were formed, composed of civilian volunteer pilots who assisted the Portuguese Air Force in several missions, mostly transport and reconnaissance, using both civilian and military light aircraft. The Air Force also participated in ground and air-ground operations with its paratrooper forces, which became one of the main shock forces of the Portuguese Armed Forces. 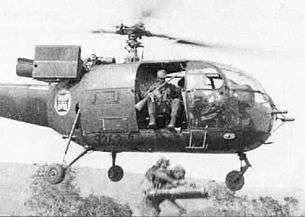 These troops, in the beginning of the War were mainly launched by parachute to the operations areas, but later were mainly employed in air assault operations using Alouette III and Puma helicopters. Besides the four regular paratrooper battalions (one in Angola, one in Portuguese Guinea and two in Mozambique), the Air Force was also involved in the creation of the paramilitary elite Paratrooper Special Groups in Mozambique. In order to stop the guerilla infiltrations in the Angola north border, the Counter Infiltration Tactical Unit (Unidade Táctica de Contra-Infiltração) was created, a mixed aviation/paratrooper unit, grouping trackers, paratroopers, helicopters and light aircraft. The military coup in 1974 was partly caused by the war in Mozambique, Angola and Portuguese Guinea during the 1960s. It in turn led to these countries' independence in 1975. The turmoil of the revolution and the end of the war in the African colonies, which had involved 150,000 personnel, brought about a major reorganisation which reduced the 850 aircraft inventory of the PoAF in 1974 to only one third of that in 1976. Since then Portugal has gradually regained its balance and changed the organisation of the PoAF in the interest of efficiency. Some of the noteworthy changes during the last decade include the closure of Air Base No. 3 in Tancos and Air Base No. 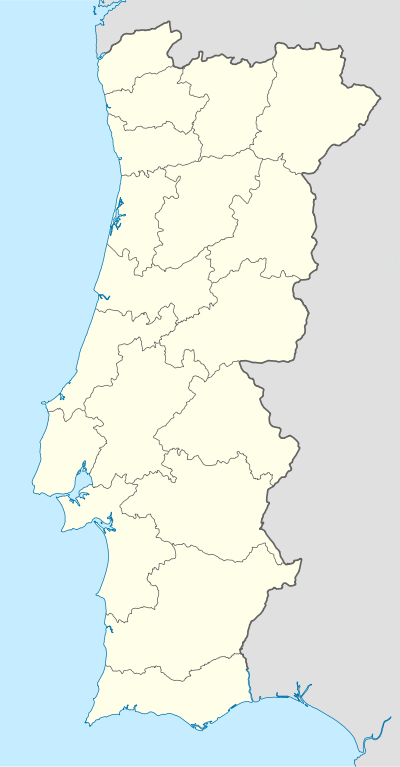 7 in Aveiro, the introduction of an independent naval helicopter squadron in the Portuguese Navy, the acquisition of modern aircraft such as the F-16 Fighting Falcon, which replaced the A-7P Corsair II, the relocation of several squadrons to other bases, and the privatization of the OGMA workshops. 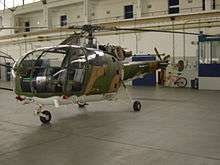 More recently, since 2005, the Aerospatiale Puma has been replaced by 12 AgustaWestland EH-101 helicopters, mainly used in the search and rescue role, in Montijo, with two stationed at Lajes, Azores, and one on Porto Santo, Madeira. This was followed by the introduction of the EADS CASA C-295, which replaced the CASA C-212, and the arrival of five former-Netherlands Naval Aviation Service P-3C Orion to replace the older P-3P Orion fleet. The F-16 fleet has completed the Mid Life Update conversion and update, with the fighters now in service with two squadrons at Monte Real.10 NH-90 Helicopters were ordered but cancelled due to budget cuts. Air Base No. 4, at Lajes, Azores. The Chief of Staff of the Air Force (Portuguese: Chefe do Estado-Maior da Força Aérea, CEMFA) is the commander of the Portuguese Air Force. It is the only full General (four stars) of the Air Force. The Staff of the Air Force (Portuguese: Estado-Maior da Força Aérea, EMFA) is responsible for studying, conceiving and planning the Air Force activities, supporting the Air Force Chief of Staff decisions. The EMFA is commanded by the Vice Chief of Staff of the Air Force (VCEMA), a Lieutenant-General, who is seconded by a Major-General, called Deputy Chief of Staff of the Air Force (SUBCEMFA). It consists of a Personnel Division (1ª Divisão - Pessoal), an Intelligence Division (2ª Divisão - Informações), a Operations Division (3ª Divisão - Operações), a Logistics Division (4ª Divisão - Logísticas), and of Support Units (Orgãos de apoio). 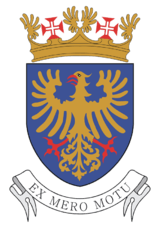 The Air Force Logistics Command (Portuguese: Comando da Logística da Força Aérea) is commanded by a Lieutenant-General and has, as its mission, the management of the Air Force's materials resources in order to accomplish the CEMFA's plans and directives. General Storage Complex of the Air Force (Depósito Geral de Material da Força Aérea, DGMFA). The Personnel Command of the Air Force (Portuguese: Comando de Pessoal da Força Aérea) is commanded by a Lieutenant-General that administers the human resources of the Air Force in accordance with the CEMFA's plans and directives. The Air Command (Portuguese: Comando Aéreo), commanded by a Lieutenant-General, plans, directs and controls the efficiency of the air power, the air activity and defence of the national air space. It is also of the Air Command's responsibility the security of the Air Force bases and units. The Surveillance and Detection Units (Portuguese: Unidades de Vigilância e Detecção, UVD) guarantee the operational of these same means. Air Zones have the mission of planning, supervising and controlling the readiness of the air power resources and the air activity in their area of responsibility, of the accomplishment of the established plans. Guaranteeing, under the terms established in international agreements, the relationships with the foreign forces stationed at the base units under their hierarchic authority, but keeping the status inherent to the unit commander. 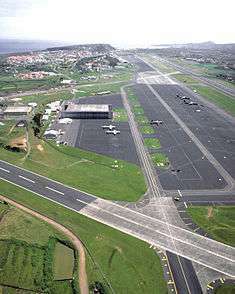 It has the Lajes Air Base (BA4) under its dependency. CASA/Airbus Military C-295M; tactical transport aircraft. Alpha-Jet with commemorative painting of the 50th anniversary of 103 Squadron. Esquadras (squadrons) are considered to be the basic flying unit of the Portuguese Air Force, in which aircraft are integrated into to carry out missions. Squadrons are under the command and part of operational groups (Portuguese: Grupo Operacional), which in turn are dependent of the air base at which they, and the squadron, are based. The third digit is a sequential number of the same mission and aircraft type. Esquadrilhas (flights) are the smallest flying units of the Air Force and have existed as independent units and as part of existing squadrons. ↑ "EMGFA". Retrieved 24 December 2014. 1 2 "Portuguese Military Aviation in brief". 20 October 2009. Archived from the original on October 20, 2009. Retrieved 22 February 2013. ↑ "Drecreto-Lei nº 3743" (PDF) (in Portuguese). Diário da República. January 11, 1918. Retrieved July 15, 2013. ↑ "Decreto-Lei nº 27059" (PDF) (in Portuguese). Diário do Governo. September 30, 1936. Retrieved July 14, 2013. 1 2 3 "Aviação Naval (Portuguese Naval Aviation) in brief". October 20, 2009. Archived from the original on October 20, 2009. Retrieved July 16, 2013. ↑ "Portuguese Military Aviation in brief". October 20, 2009. Archived from the original on October 20, 2009. Retrieved July 16, 2013. ↑ "Decreto-Lei nº 37909" (in Portuguese). Diário da República. August 1, 1950. ↑ "Decreto-Lei nº 39071" (PDF) (in Portuguese). Diário da República. December 31, 1952. ↑ "Aeronautical infrastructures". 20 October 2009. Archived from the original on October 20, 2009. Retrieved 22 February 2013. ↑ "Air Units". 29 October 2009. Archived from the original on October 20, 2009. Retrieved 22 February 2013. ↑ "Decreto-Lei nº 41492" (PDF) (in Portuguese). Diário da República. December 31, 1953. ↑ "Esquadra 501 - História" [501 Squadron - History] (in Portuguese). Esquadra 501. Archived from the original on February 22, 2013. Retrieved July 16, 2013. 1 2 3 4 5 6 7 "World Air Forces 2015 pg. 27". Flightglobal Insight. 2015. Retrieved 3 July 2015. 1 2 3 "OPSAS BA11: Meios" (in Portuguese). October 5, 2005. Archived from the original on August 4, 2011. Retrieved February 22, 2013. ↑ "Mercedes Unimog of Air Force". 1 October 2011. Retrieved 22 February 2013. ↑ "Mercedes 1823 Atego". 30 July 2011. Retrieved 22 February 2013. 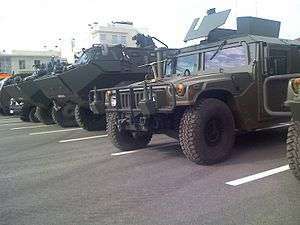 ↑ "PORTUGAL M1025 HUMMER (M-PAV-2)". 31 January 2011. Retrieved 22 February 2013. ↑ "Força Aérea Portuguesa - Organização" (in Portuguese). Portuguese Air Force. 24 January 2012. Archived from the original on January 24, 2012. Retrieved 22 February 2013. ↑ "Força Aérea Portuguesa - Estrutura" (in Portuguese). Portuguese Air Force. 24 January 2012. Archived from the original on January 24, 2012. Retrieved 22 February 2013. ↑ "Força Aérea Portuguesa - Esquadras de Voo" (in Portuguese). Portuguese Air Force. 24 January 2012. Archived from the original on January 24, 2012. Retrieved 22 February 2013. ↑ "Campo de Tiro - Alcochete" (in Portuguese). Portuguese Air Force. 24 April 2010. Archived from the original on April 24, 2010. Retrieved 22 February 2013.